UPDATE: Voters overwhelmingly approved Proposition 72 by a roughly 83-17 margin, in a move to promote water conservation in the state. • The rainwater system is included in the value of the home when it is sold. How did It Get on the Ballot? State lawmakers put Proposition 72 on the ballot with a unanimous vote in both houses. Why Do People Support It? Rainwater systems catch rain from the roof of a home and siphon it to a large barrel, or even larger cistern, for outdoor use. 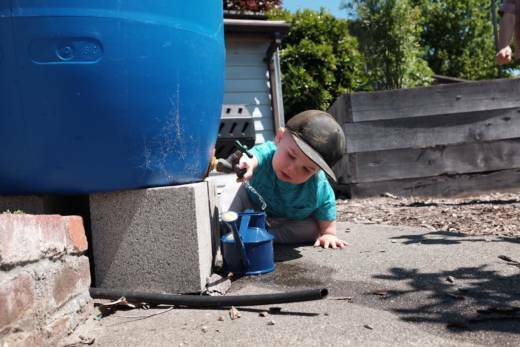 Prop 72 aims to encourage rainwater catchment by ensuring that homeowners who install a system won't have to pay property tax on the increased value of the home. Using rainwater for landscaping will preserve drinking water, lower utility bills and retain more water in streams and rivers, thereby aiding fish and wildlife. Prominent state newspapers have endorsed it. So have environmental groups like Save the Bay and Trout Unlimited. Why Do People Oppose It? Actually, there's no organized opposition to Proposition 72, and no opposition statement listed in the California Secretary of State voter guide. Who Gains -- Who Loses? Homeowners gain an incentive to install rainwater catchment systems, because they won't have to pay property tax on the home improvement. The savings for homeowners can be varied. An inexpensive system might mean only a few dollars saved in property taxes. But there are also bigger, more expensive systems that can cost thousands to install and would otherwise raise property taxes a noticeable amount. The value of the catchment system would be included in the value of the home when it is sold. Local governments may bring in slightly lower property tax revenues.